Stunning in its simplicity, this innocent harmony of light pink roses and snow white lilies are a heartfelt way to send your very best. 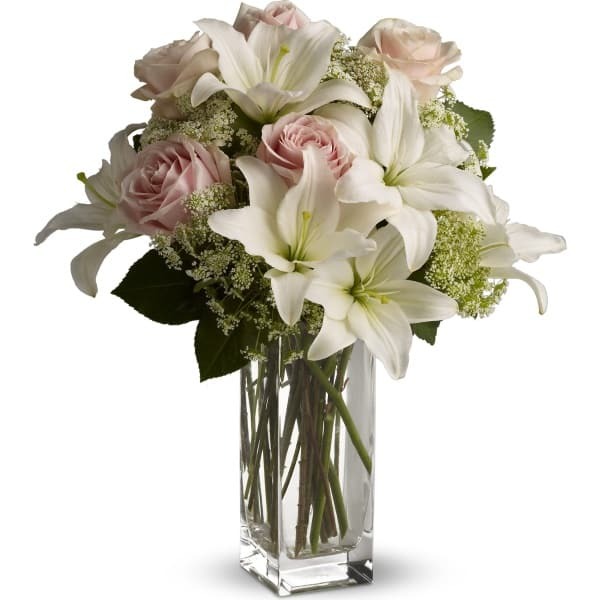 The classic, clear rectangular glass vase keeps the focus on the heavenly beauty of the blooms. 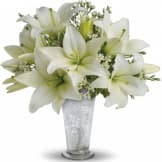 • Light pink roses and white asiatic lilies form a fragrant bouquet with delicate touches of Queen Anne's lace and rich green salal. 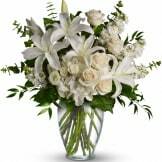 • Delivered in a rectangular clear glass vase. 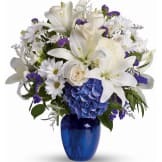 Flowers will be received by a Pafford Funeral Home's staff. All of our flowers are designed and delivered by hand from a local florist in in Lexington.